There is a joint of some sort leaking in one of our cold water lines running above the drop ceiling in the basement. Does anyone know what this joint is called, or why it might be leaking? It's leaking from the opening (looks like you could attach a narrow water line to it), and tightening the nut below it didn't seem to help (though I didn't tighten too much for fear of damaging it). Update: it looks like it's a saddle valve, though the handle is missing. Not sure what to make of that. It's a self tapping valve, usually to provide water to a fridge. You can either replace it or eliminate it (use a coupling instead). Turn the water off, and remove it. Those things are rubbish, and always leak eventually. If you need a valve there, cut out the damaged section of pipe, and install a proper tee and valve. If you don't need it, cut out the damaged section of pipe and install a coupling. 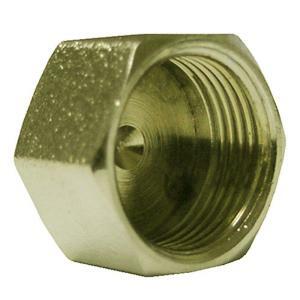 If you're not an expert solderer, They make push-fit fittings (SharkBite® is the well known brand) that are easy to work with. These fittings are more expensive than typical fittings, but ease of use and not having to buy soldering supplies might make them comparable. It's a self-piercing saddle valve like this one: https://www.youtube.com/watch?v=FB76LXrYKsU . If you're familiar with electronics, it works a lot like the so-called "vampire tap" for coax cable. Regardless, it's a quick and easy solution in the short-term, but they tend not to last. Because they are cheap, they tend to fail easily, and because they are easy, they tend to be used in situations where they aren't really appropriate. If this valve is actually supplying water to something, it'd be worth replacing this valve with a true T-connection and a "real" valve. If it's NOT supplying water to something, it'd be a good idea to remove it and patch the gap with a proper coupling. There's also the possibility that you could remove it and just patch the hole that it leaves behind, but that might not last very long either. If you're up for it, soldering copper pipe is not at all beyond the adventurous homeowner, but it is a pretty advanced task, so you're not going to find a kit or instructions at Lowe's. You'll have to learn about soldering (a non-trivial task), and get the proper equipment (a propane torch, flux, and solder). If you remove that, water is going to spray everywhere. You might be able to find a cap to screw onto it at the local hardware store. Slide the shark-bite connector on the end. It clicks into place. There were some good suggestions to replace/remove the saddle valve, and I'll likely do that eventually. For now, though, I was able to cap it off with a 1/4" compression cap, similar to the one pictured below. You need to do this if it is leaking from the rubber flashing around the pipe. Here in the UK one would normally use a compression repair coupler to repair a copper water pipe. Normally because it's burst but it would work just as well after removing that (presumablly) redundant and leaky valve. The repair coupler is longer than a normal coupler and only one end has a depth stop which makes it easy to slide onto a gap in existing pipework. After sliding it into place you tighten the nuts to compress the olives and make a seal. I don't know if similar products are available in other countries. 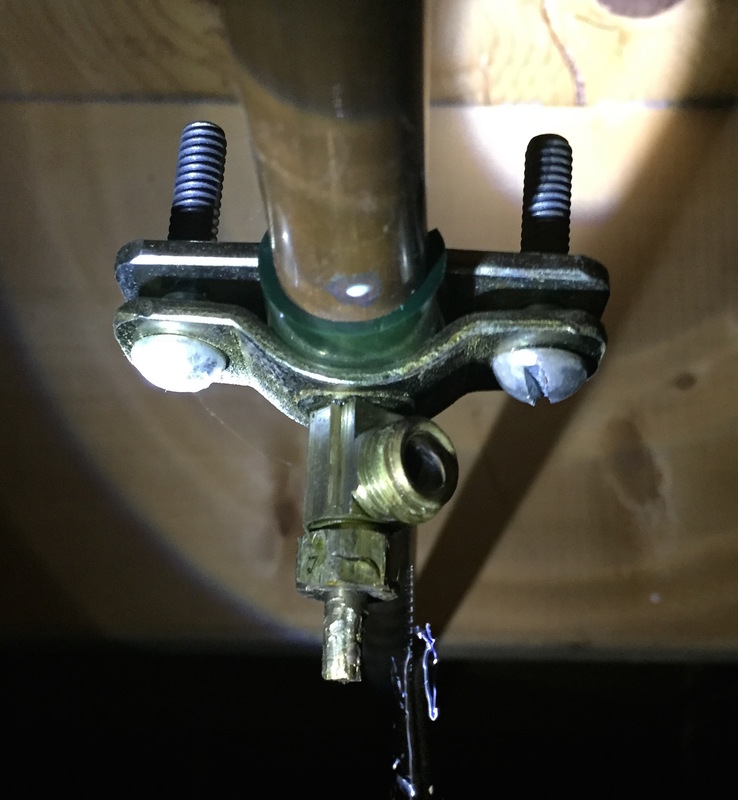 What can I do about a saddle valve that won't turn on? Should there be any moisture around a shower valve? How do I use this valve properly?